Create elegance in your bathroom with the Claverton range from Heritage. 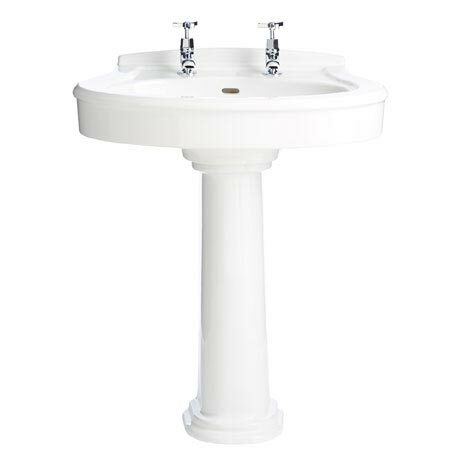 Manufactured to the highest standards from vitreous china, this standard basin and pedestal comes with the option of 1, 2 or 3 tap holes. For peace of mind Heritage offer a lifetime guarantee on all of their sanitary ware.